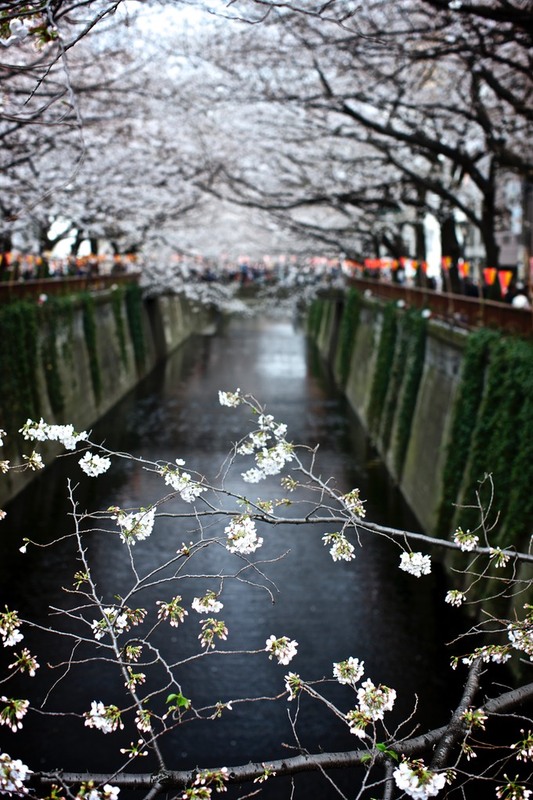 Japan is famous for the Saukra (cherry blossom) that in so many ways defines Japan. 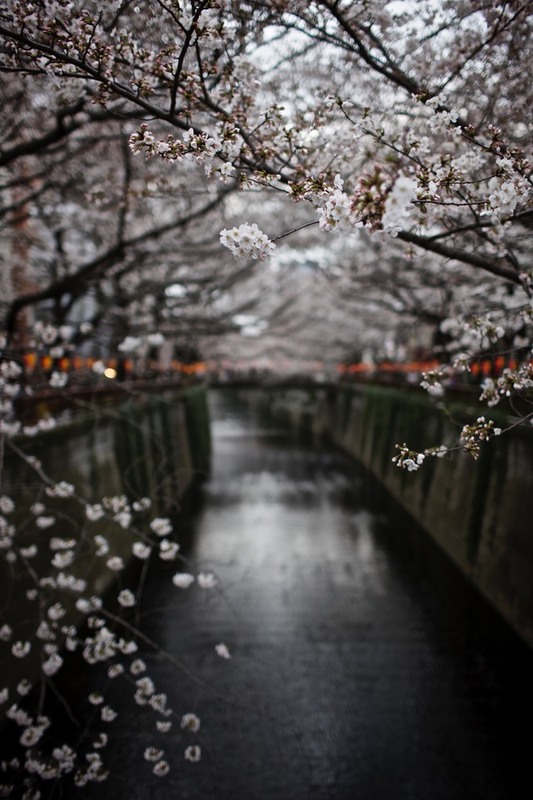 It is a gorgeous riot of pink that appears for a very brief few days in early Spring all over the country. 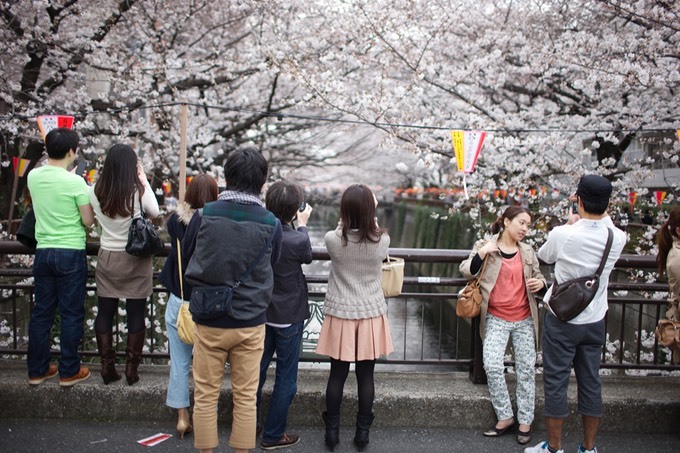 Japanese people admore the Sakura for the combined beauty of its perfection and very fleeting moment it achieves perfection before dying and being blown away by the spring winds so common in Japan. 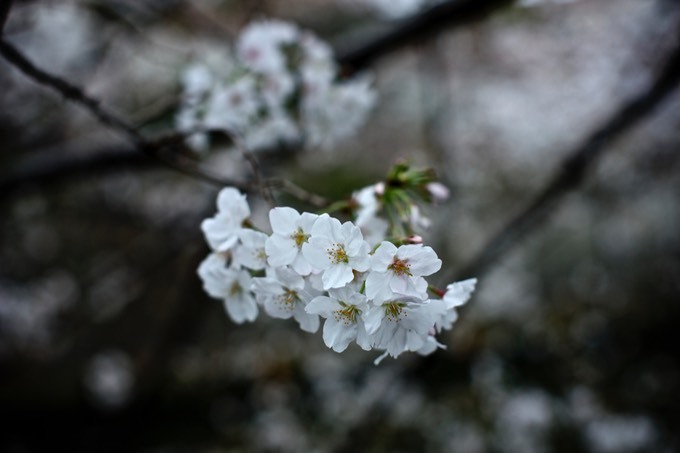 The phenomenon of Sakura gives rise the the equally Japanese phenomenon of Hanami - which basically means sitting around on blankets under cherry trees and getting drunk. A truly noble pastime in my book - and very social. 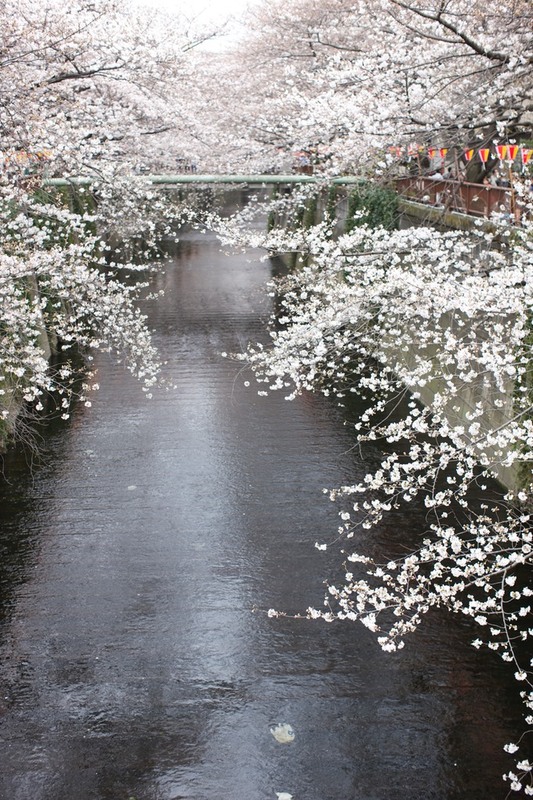 I live near the Meguro River, one of the most famous spots in Tokyo for viewing Sakura, and thus for Hanami. 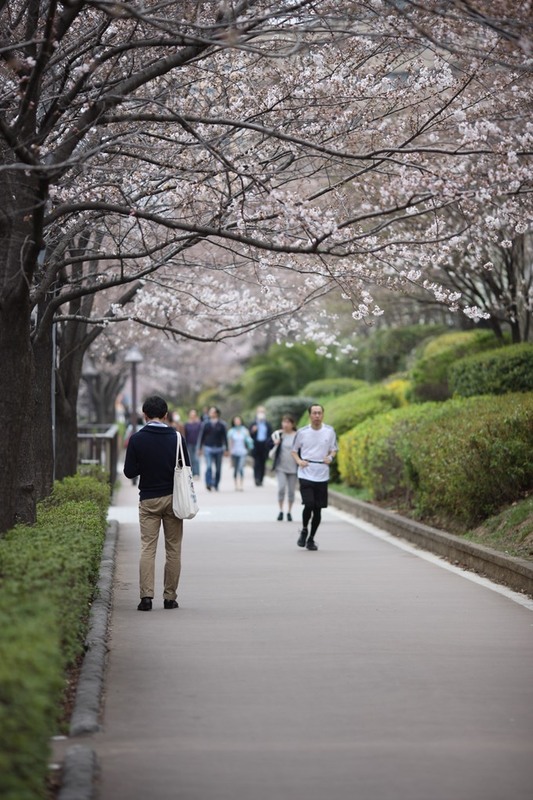 Although lack of space usually turns this into a srt of mobile version where people walk around under cherry blossom getting drunk. The end result is pretty much the same. 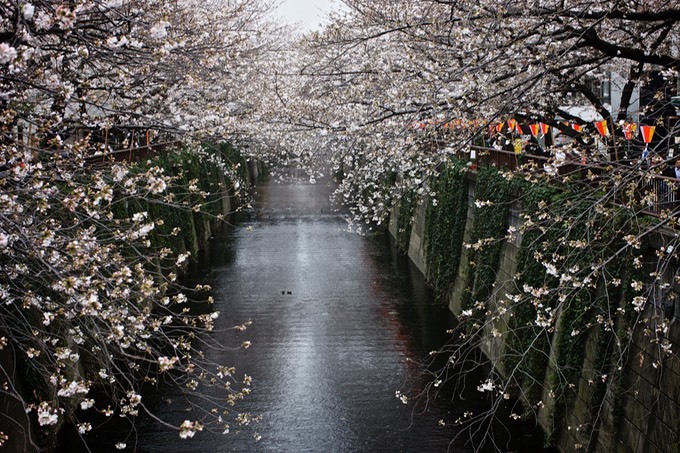 I went to the Meguro River on a day off to see the blossom at about 60-70% of it's best. Here are some photos. 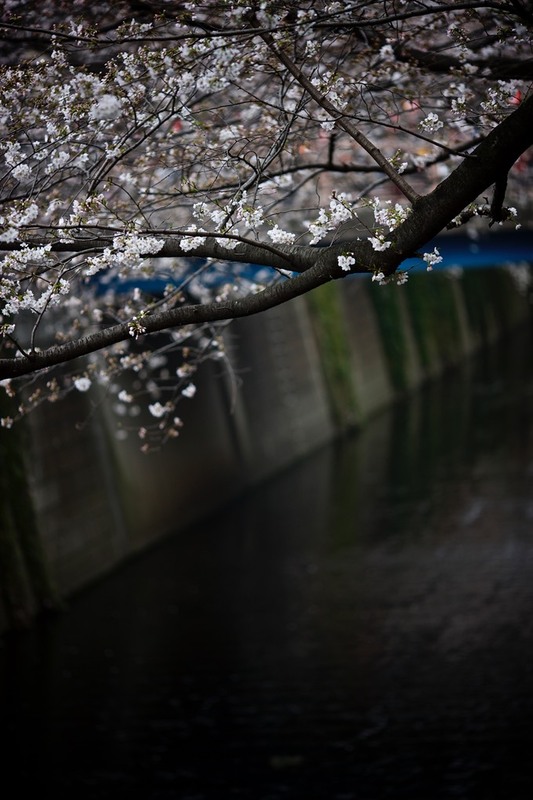 All photos taken with a Canon EOS 1Ds Mark III and a mixture of Canon EF 50mm F1.2L, EF 135mm F2L and EF 35mm F1.4L lenses.